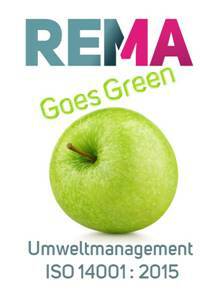 REMA assumes responsibility for our shared environment. With this in mind, we are taking an important step forward today. measure up to these values. To achieve our objectives, we implemented an environmental management system. internationally applicable standard ISO 14001:2015. Challenge us and everything fits at its best.